“Your first wing is one of the most important decisions you’ll ever make. One of the biggest problems we see is beginners choosing to start with wings ‘to grow into’. Such wings are often too hot and the result can be broken props, scraped knees and worse. 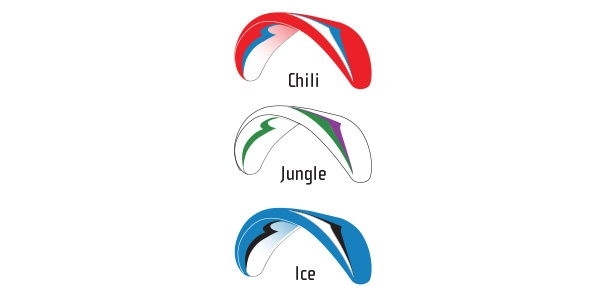 Instead, when you start with the right wing, you will learn faster and be more safe in a wider variety of conditions. We believe good take-off characteristics are the most important quality for a beginner wing. During the Pegasus 2 development, we spent a lot of time improving the inflation, making sure the wing comes up easy and straight in all conditions. We also made the take-off speed as low as possible, which means getting airborne is smooth and effortless. We also aimed to make the Pegasus 2 a versatile wing that pilots could really have fun with. 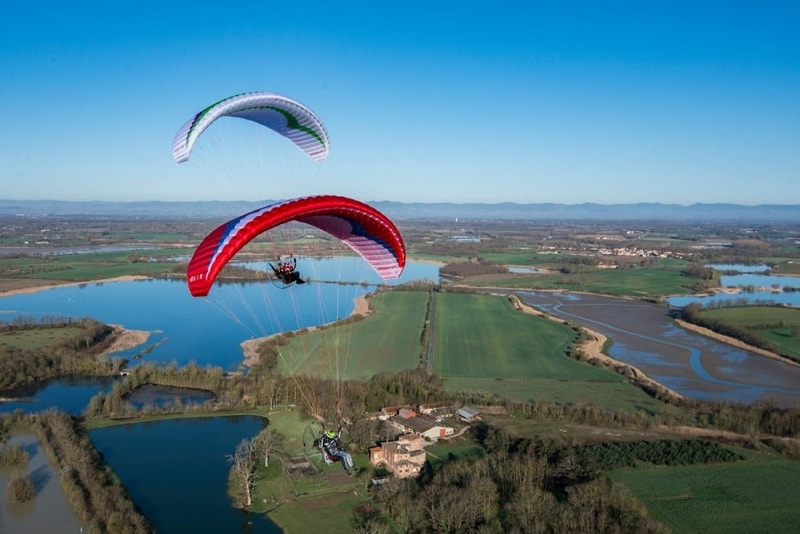 You can confidently fly the Pegasus 2 in midday thermals, both with and without a motor. The controls are responsive yet progressive – it’s never dull. The wing does whatever you ask it to, but at the same time, it’s still incredibly forgiving. Paramotor rucksack, inner bag, compression strap, repair tape, stickers. Your wing comes with the GIN paramotor rucksack (90L), which contains an integrated fast-packing bag as shown.